George Lee | The College Funding Coach George Lee | Paying for college without jeopardizing your retirement! George sold his successful financial, economic and business communications company, his sought out advise from a financial professional. He met many people who tried to sell him products or who offered guidance on isolated decisions. So, he dedicated his career to helping other entrepreneurs and professionals see their financial big picture and approach decision holistically. With two teenage boys, one in college and another soon to be, George understands the importance of college funding and the challenges parents are face with. With the rising cost of the tuition, his clients are more and more concern on how to pay for it without putting their retirement plan in jeopardy. In working with The College Funding Coach, George’s goal is to educate his clients and prepare them for the process without unexpected surprises. 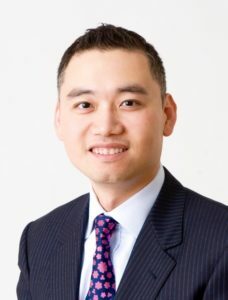 George is a graduate of Georgetown University, and speaks both English and Chinese Mandarin. He has received several awards and honors for this outstanding service to client, including Prudential Financial Company’s coveted Grand Slam Award and the Million Dollar Round Table Court of The Table. He has developed expertise in financial goal setting, comprehensive financial planning, asset management, investment strategies, business continuity planning, estate planning strategies, retirement income planning and insurance planning.